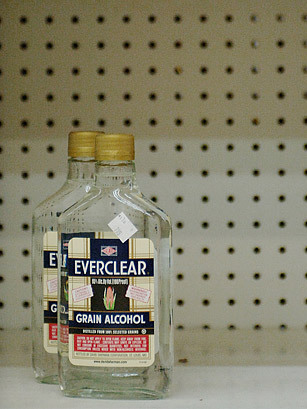 Everclear is designed to get you drunk. We're talking stumbling, drooling, ex-girlfriend-texting drunk drunk. Known as a neutral-grain spirit, some types of Everclear run as high as 190 proof and have been banned in several U.S. states. What is it best mixed with? Anything  orange juice, punch  that will take your mind off the fact that you're drinking 95% alcohol and still acting like a kid in college.